One great thing about the cities of Europe is that they are beautiful even in the Winter. Experience the charms of a very old city with this Chicago to Warsaw flight for $541 r/t with taxes and fees. Get your fare with Air Berlin ans save more than $100 compared to the other companies.The Warsaw flight deal we have found was originally provided by Faredepot, but it was discovered on Travelgrove. Though if you select some other providers you have a chance to find an even better offer. Take a look at the screenshot we have made and see that this flight starts from O’Hare International Airport (ORD) on February 5 and returns from Warsaw Chopin Airport (WAW) five days later. Both flights have a stop in Berlin, the departing has a 1 hour 55 minutes one while the return a 2 hours 15 minutes one. For purchasing this fare Air Berlin topbonus will give you 9,450 award miles. 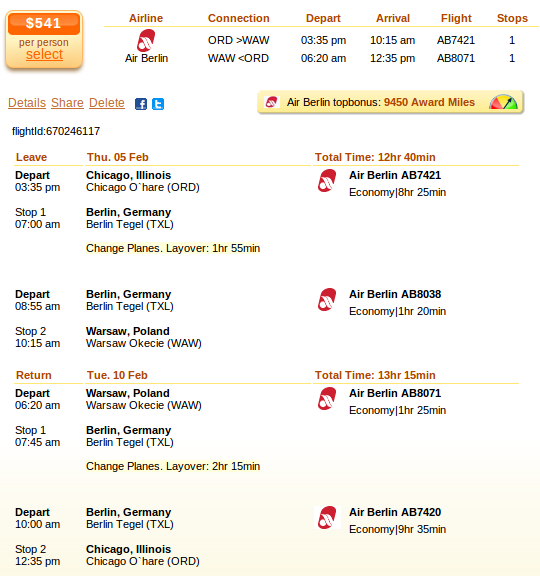 Air Berlin’s flight costs $451 r/t while the second cheapest airfare we have found is $656 r/t. 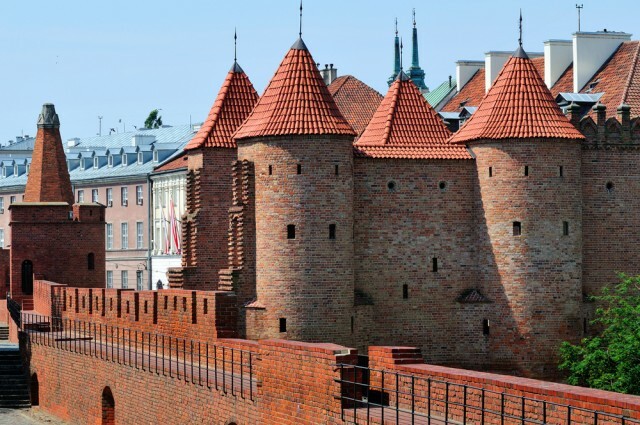 We have gathered the five cheapest deals from Chicago to Warsaw, just take look on the table. *The prices featured in the table include taxes and fees.